BruxRelief: This team has developed a device and app to identify and eliminate bruxism (teeth-grinding). DopaApp: Originally founded in Egypt, this startup works with treatment facilities to connect addicts with individuals and resources that can help. The Egg Project: This team is developing a tech-enabled system to prevent and de-escalate autistic episodes. The Kombucha Project: A fast-growing Santa Fe startup offering convenient, accessible, and healthy kombucha products. NeuroTrainer: This startup has developed a virtual reality based software solution to dramatically improve treatment outcomes for athletes and people with traumatic brain injuries. SANEchart: The team behind SANEchart is developing a software system to digitize the documentation of sexual abuse and domestic violence forensic examinations. We want to thank our Health and Wellness Advisory Committee members and our Community Partners for all of their help throughout the selection process. 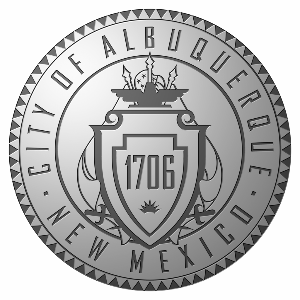 Additionally, we are honored to have the continued support of the City of Albuquerque. With our upcoming Health and Wellness Accelerator, ABQid is taking a proactive approach on addressing the health and wellness of our founders as well. It has become increasingly prevalent that a focus on founder wellness has been lacking in accelerators across the globe, and we want to be on the cutting edge of changing that mindset. By empowering founders to focus on their wellness in addition to their companies, we not only create healthier founders, but healthier companies as well. ABQid wants health and wellness to be paramount in the culture of all our portfolio companies, and it starts with us. Below is an article by Patrick Riley of the Global Accelerator Network commenting on how accelerators are moving forward with addressing this issue. We applaud every accelerator that is acting as a catalyst, and ABQid is incredibly excited and prepared to improve founder wellness as well! Most of us have experienced depression or anxiety in one form or another. Whether we have personally faced it or watched a family member or founder struggle through it, we’ve seen how it can impact our work, our relationships, and the overall health of those going through it along with the people who care about them. The GAN community has dealt with the impact that depression can lead to as two founders in the past year have committed suicide. When we get this horrible news, it absolutely breaks our hearts. I was at the Rise of the Rest conference last month when I heard the news about the second founder who committed suicide, and I got pretty emotional. While I know this isn’t a problem unique to accelerators, I know we can take actions as a group to help prevent this from happening again. While this list isn’t exhaustive by any means, it’s a great start for the actions we can take to help founders while they are in our programs. As part of the GAN’s commitment, we’ve also contracted with certified counselors at Foundations Family Counseling who have worked with numerous startup founders, and beginning this week they have agreed to offer any GAN founder a free counseling session to talk through any issue where they’re struggling. If they want more support, the team at Foundations is equipped to counsel founders on a weekly or bi-weekly basis of which the GAN is providing funding to help subsidize the cost for any founder who needs to talk with a counselor on an ongoing basis. Finally, we know that we can’t solve every issue and don’t want to give the impression that we can. If you know of a founder who has a crisis situation, they should immediately call the Suicide Prevention Hotline if you’re in the States. That number is: +1.800.273.8255 and you can also chat with them online here. If you’re outside the States, you can find your country’s Suicide Hotline here. This is really important. We’re excited to take one step forward in helping founders in this way and ease some of the burdens on our founders. *GAN Founders, if you’d like to speak with a certified counselor send an email to confidentialsupport@gan.co, all emails to and from this address are confidential. This email is not monitored by GAN as it will go directly to Foundations, you will receive a response within one business day from our partners at Foundations Family Counseling. This will only go to the counseling group, and no one will see your request except for certified counselors who are required to keep any conversation confidential due to the United States’ HIPPA regulations.